Few days after being accused of refusing to remit over N2tn said to have been seized from corrupt public officeholders, the Economic and Financial Crimes Commission has been linked to another scandal following the revelation that the commission recovered over N1.7bn from 15 companies for the Federal Inland Revenue Service but failed to remit same to the agency. Several calls, e-mails and SMS to the spokesperson for the EFCC, Mr. Wilson Uwujaren, for response on Saturday, were not replied. The Chief Executive Officer, Panic Alert Security System, Mr. George Uboh, while appearing before the Senate Committee on Ethics, Privileges and Public Petition on August 26, had disclosed how the Chairman of the EFCC, Ibrahim Lamorde, allegedly short-changed Nigeria of over N2tn. Documents Uboh made available to journalists showed that the funds were recovered between 2010 and 2011. The security expert said members of the public interested in getting details of his earlier N2tn seized by EFCC but unremitted to government should download the documents from his website:www.pasecng.com. The petitioner also expressed his readiness to expose the country’s former presidents, vice presidents, current and ex-governors as well as the current administration over numerous shady practices. 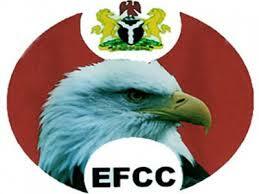 “EFCC has been the house of refuge where looters hide. I want to demystify EFCC”, Uboh stated. The breakdown of the N1,767,594,842.65 said to have been recovered by the EFCC and list of the 15 companies include Zakhem Construction Limited — N401m; Daewoo Nigeria Limited — N208m; WAPCO — N311m; Mikano International Limited —N16m; Protea Hotel, Apo Apartments — N10m; Reiz Continental Hotels — N32m; Coscharis Motors Limited — N130m; and Elizade Nigeria Limited — N555m. Others are ITCC Technical Limited, Kaduna — N47m; Grand Ibro Hotel, Abuja — N14m; Efab Properties, Abuja — N19m; Le Meridien Hotel, Port Harcourt – N10m; Northern Nigeria Flour Mills Plc – N2.7m; Ni’ Ima Guest Palace – N2.8m; and Okomu Oil Palm Plc – N5m.